Discussion in 'Henson People' started by MrBloogarFoobly, Nov 2, 2017. The Jim Henson Company, the puppet-based production house behind Fraggle Rock, The Dark Crystal and Labyrinth, has signed with the UTA. The partnership will focus on expanding the company's feature and primetime television slate, as well as VR, gaming and digital initiatives. "As we become more active in film and primetime, a partnership with UTA's highly motivated team will bring together our creative and innovative legacy with the top talent in the industry, leading to some exciting announcements very soon," said CEO Lisa Henson. Founded in 1955 by puppeteer Jim Henson as Muppets Inc., The Jim Henson Company was behind the popular variety series The Muppet Show, which ran for five seasons. Julie's Greenroom, starring Julie Andrews, and Sid the Science Kid are a few of the company's recent TV credits. A Dark Crystal prequel series, The Dark Crystal: Age of Resistance, is currently in production for Netflix. Its upcoming features slate includes the holiday feature The Star (out Nov. 17) from Sony Animation and STXfilms' edgy puppet comedy Happytime Murders, starring Melissa McCarthy, Maya Rudolph and Elizabeth Banks. 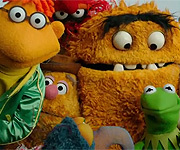 The company, based in Los Angeles with locations in both New York and London, also encompasses Jim Henson’s Creature Shop, which is a pre-eminent character-building and visual effects group. I don't quite understand what this means. Who or what is UTA, and what does it mean that they signed JHC? They are a very large talent agency. 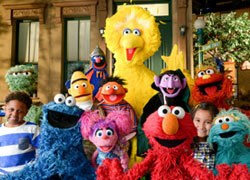 They will be representing the Henson Company. I guess it means that the Hensons aren't representing themselves anymore, and are letting that go through a third party. Maybe they'll do more work as a result. Wouldn't it be JHC signing UTA since they were the ones wanting to expand their possibilities?